Discover Phuket with an ATV (All Terrain Vehicle) with this one-hour or two-hour tour which will take you to Phuket's East Coast. 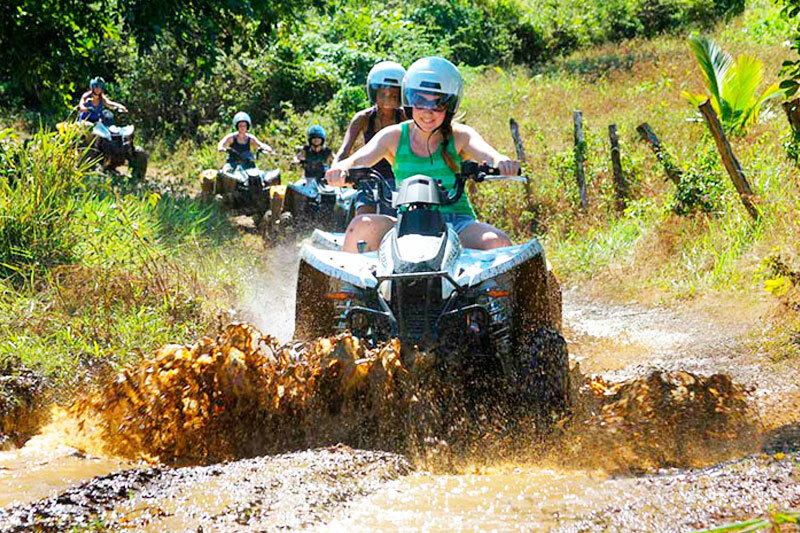 You will first practice on an ATV under supervision of the instructor before heading off on a tour through the forest and neighboring plantations. Registration & briefing at ATV welcome camp. Tour starts by riding on gravel trail to cover riding in curve, figure 8, large oval and small circle. Enjoy lots of fun and excitement by riding on incline and muddy trails. Fun riding on mini of-road trails such as bumpy, narrow-rugged and ride over obstacles among great environment of local plantations and tropical forest. Back to the ATV camp, enjoy fresh fruits in season and cold beverages and transfer to your hotel. © 2017 Phuket Best Holiday Tours. All Rights Reserved. | Powered by Phuket Solution.